Rice is one of the most important grain crops produced in Louisiana. Although rice is subject to being damaged by plant-parasitic nematodes, greater losses are associated with fungal and bacterial diseases as well as insects in Louisiana. The prolonged flooding in rice fields may limit the types of nematodes that can cause problems in rice. The white tip nematode (Aphelenchoides besseyi) is by far the most common species associated with cultivated rice. This was a serious pest in Louisiana during the 1930’s and 1940’s. Although the disease symptoms were noticed in the field, it was not until the late 1940’s that it was identified as being caused by a nematode.The "white tip" name comes from symptoms that can be associated with this nematode on susceptible plants. Damage from this nematode may be recognized from tattered, string-white tips on infested leaf blades. These leaf tips can turn brown or black over time.Plants infected with this nematode may be stunted, sometimes lodge, and produce small panicles with reduced spikelets. The upper leaves of severely damaged plants may be twisted and panicles from the boot may be incomplete. Symptoms may difficult to detect on some varieties that either have some resistance against the nematode or simply don't express damage. White and yellowing of rice leaf tips associated with the white tip nematode. Photo from Nemapix. Brown and damaged leaf tips evident on the rice from the white tip nematode. Little damage is evident on rice seed (photo from Dr. E. C. McGawley). White tip nematode is slightly different from our typical plant-parasitic nematodes. Most of our problems with nematodes occur on the root systems of plants. White tip nematode is a problem above-ground, attacking the shoot rather than the roots. The nematode initially infests leaf sheaths of seedlings feeding on the apical meristem of rice plant. A rapid increase of the nematode occurs at late tillering and is then associated with the reproductive phase of the rice plant eventually ending up in rice seed. The nematode survives in the rice seed in a dried state but can revive as soon as there is moisture present. 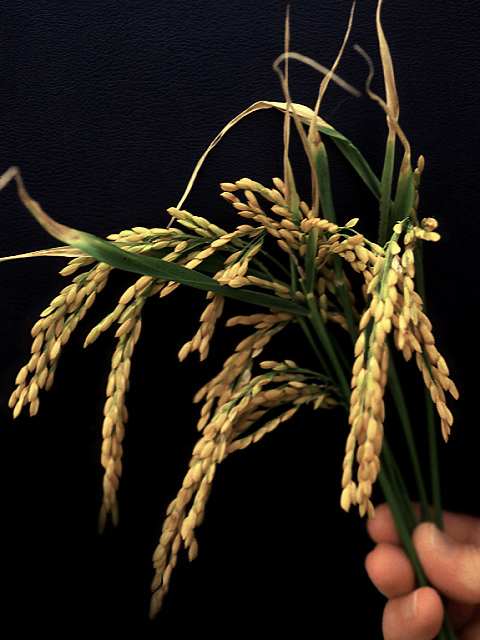 Rice seed that are infected with the nematode are a primary method of spread. Varieties do vary in susceptibility to this nematode and can range from very susceptible to very resistant. Varieties that have some level of resistance may show no foliar symptoms of this disease. Fortunately, this nematode doesn’t appear to be a serious problem in Louisiana anymore. 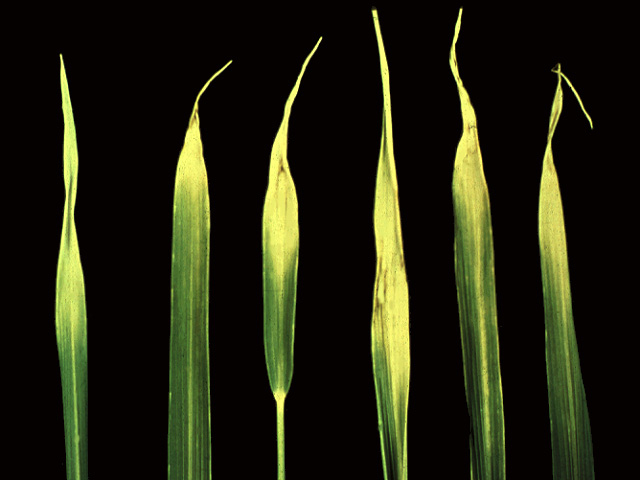 Many of the long grain varieties were reported as being resistant in the past. Early planting, water seeding, and insecticides used in storage also likely impacted the nematode and lessened damage from this pest. Surveys to determine if this nematode was a problem in rice were conducted in the early 1980’s and again during 2015-16. Only a small number of samples from commercial fields were found to have any of this nematode. Some of the new hybrids did seem to have a higher incidence of the nematode than most of the regular varieties. This would suggest that the nematode is still present in our state but is likely to not be causing serious injury. One of the problems with white tip nematode is that it is a considered a quarantine nematode by a number of countries. This means that these countries will only accept rice that is free from this nematode. Even though we may have low levels of this nematode in our rice which is not causing any production issues, it can mean problems selling and shipping to some countries.